Bendor Grosvenor has challenged our post on the so-called “Haddo Raphael” and asked for a right to reply. It is not correct to say that the Haddo Madonna ‘relates to no known Raphael work’. The picture bears a very interesting relation to a drawing by Raphael of the Head of a Virgin formerly in the de Triqueti collection. Sadly, that drawing is now lost, but it is listed in Paul Joannides’ 1983 catalogue, ’The Drawings of Raphael’ (no.64). A good quality reproduction is in the Witt Library. What I think Michael means is that the Haddo Madonna relates to no known work which he agrees is by Raphael (he does not agree that the de Triqueti drawing is by Raphael). Michael seeks to establish the connoisseurial quality of my ‘eye’ by referencing the ongoing and recently uncovered fake Old Master scandal. He writes that, like numerous Hals scholars and the Louvre, I was ‘deceived’ by a Hals which has been proven to be fake. But there is an important distinction to be drawn between the Louvre’s deception and my alleged deception – I never actually saw the painting. 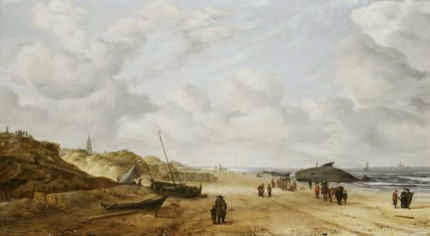 As I make clear in the Financial Times article in which I discuss the Hals, I had only seen it via a photograph, long before the fake story ever began, and never paid it especial attention. In my business, seeing a picture in the flesh and via photographs offers a world of difference. Michael then also states that I ‘came within a whisker of being deceived by a Gentileschi fake’ formerly on display at the National Gallery in London. I suppose that not actually being deceived by a painting which is indeed almost certainly a fake (it hasn’t yet been proved) could be characterised as ‘coming within a whisker of being deceived’. But that presentation of my views seems perhaps a little unfair. The Gentileschi is the only painting of a number of works currently being doubted as fakes that I have seen in the flesh. I have been the first to go on the record as saying that I think it is a fake. I have made that conclusion on the basis of ‘my eye’. I might be wrong, of course – in which case Michael will have further reason to doubt my connoisseurship, but for a different reason. 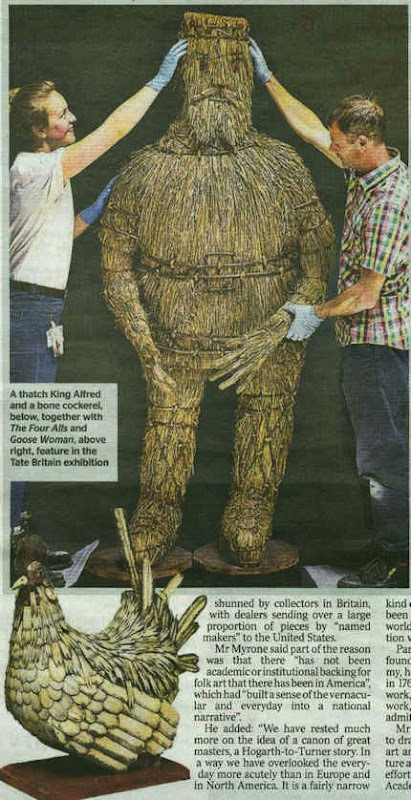 It might have been more helpful to ArtWatch readers if Michael had introduced them to the quality or otherwise of my ‘eye’ via the other re-attributions we made in the series ‘Britain’s Lost Masterpieces’; works by Jacob Jordaens, Peter Breughel the Younger, Allan Ramsay, and Claude Lorrain, all of which had been doubted before. (I must admit I am rather proud of them, so I’m sorry if it sounds like boasting, it’s not meant to.) For these pictures I felt confident enough to say, ‘this is what I believe them to be’, and happily had the agreement of other experts too. But in the case of the Haddo Madonna I have only ever said ‘it might be by Raphael’ (and happily had the agreement of Sir Nicholas Penny). I am very far from certain that it is. Much further work is clearly required. 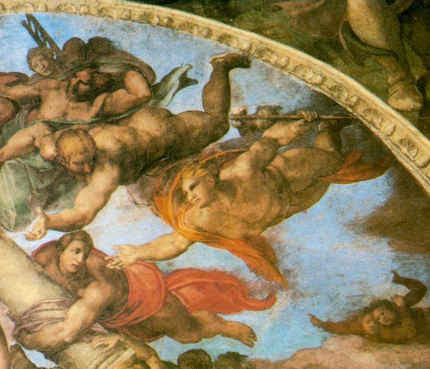 It seems at this stage that the preponderance of evidence, including the qualities of the painting itself, does suggest, at the very least, that the former attribution to Raphael ought to be re-considered. I take no issue with Michael casting doubt on the possible attribution. Indeed, given his longstanding views on the Madonna of the Pinks, which Sir Nicholas Penny discovered and (rightly in my view) believes in wholeheartedly, I expected it. I welcome the debate. But I am grateful for the opportunity to respond to some of the points Michael has made so far, which I felt framed the argument in a rather unhelpful manner. I would also have preferred it if he had gone to see the Haddo Madonna in person before making such firm conclusions about its quality. But I suppose we must all practice our connoisseurship in our own ways. Above, Fig. 1: BBC4 Factual Report, 03. 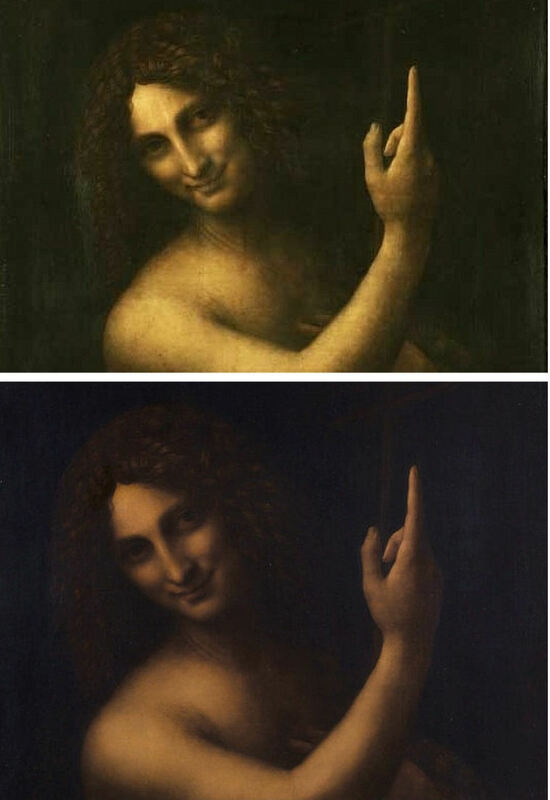 10, 2016: “Britain’s Lost Masterpieces discovers hidden painting believed to be by Raphael. ‘Finding a potential Raphael is about as exciting as it gets. 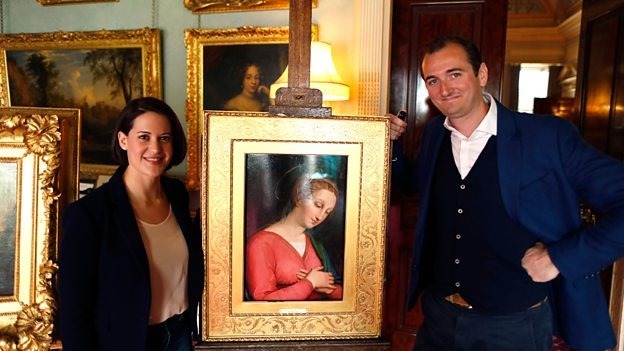 At first I couldn’t quite believe it it might be possible, but gradually the evidence began to all point in the right direction.’ Dr Bendor Grosvenor.” Photograph showing the co-presenters of the programme, Jacky Klein and Bendor Grosvenor with the attributed Haddo House Raphael. It is good that Bendor Grosvenor is prepared to engage in debate on the nature of connoisseurship. Bendor reproaches me for not adhering to practices employed in his “business”. I take his connoisseurship to be rooted in a niche art market where works of unrecognised quality (“sleepers”) are identified, stripped down and painted back together again by restorers, before being presented as reconditioned, aesthetically and financially elevated works. 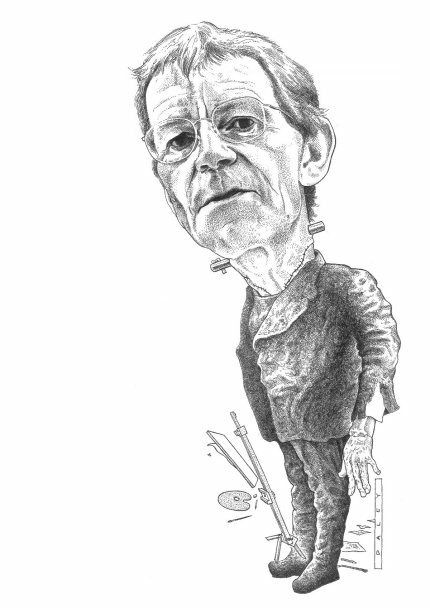 Within this milieu Bendor can indeed claim successes, but his “eye” is grounded in neither artistic practice, nor art historical studies. My eye has been sharpened by a long professional training in art and crafts; through art school lecturing; and, above all, by practice as an artist and illustrator. From 1990 this was supplemented and enriched through friendship with Professor James Beck whose rigorous scholarly method was respected even by his opponents. 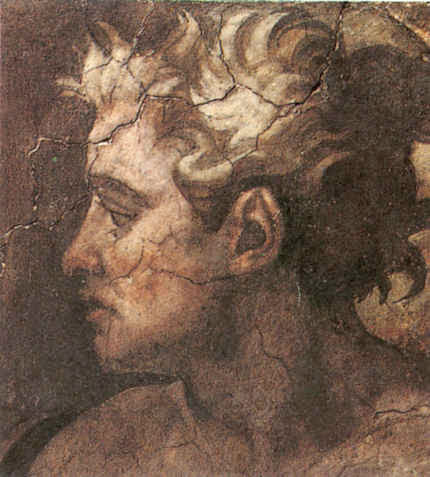 Bendor complains that I have not trekked to Aberdeenshire to see his claimed Raphael in the flesh but, then, he underwrites it by appealing to the authority of a drawing that he has never seen and that nobody can see because it is lost and known only through a poor quality photograph (see Fig. 3 below). 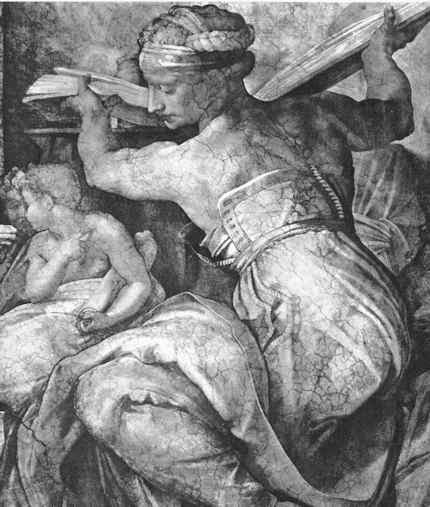 Bendor insists that this singular, un-examinable, slight and problematic drawing establishes that the Haddo painting was executed by Raphael, even though it is not related to the heroic and revolutionary works of Raphael’s first “Florentine period” (1504-08) when he – more student than genius, in Michelangelo’s view – was galvanised by sight of Michelangelo’s and Leonardo’s works. Bendor appeals to the authority of two scholars, one of whom, Sir Nicholas Penny, described the Haddo picture as “Very beautiful – I’m very impressed by parts of it.” However, this curate’s egg is itself only a part. The composition would appear to have been brutally cut out of a larger panel but Bendor tells me that while the paint runs up to the (distressed) edges of the panel, it does so without evidence of saw mark injuries. Does that unusual relationship not suggest that the painting was made to fit this particular piece of old wood? Above, Fig. 2: The Haddo House Raphael, top left; an attempt by the author to extend the image on the cropped design of the painting, top right; a detail of a painting by Le Brun, showing a similar cross-over dress with a triangle of under garment showing (above). 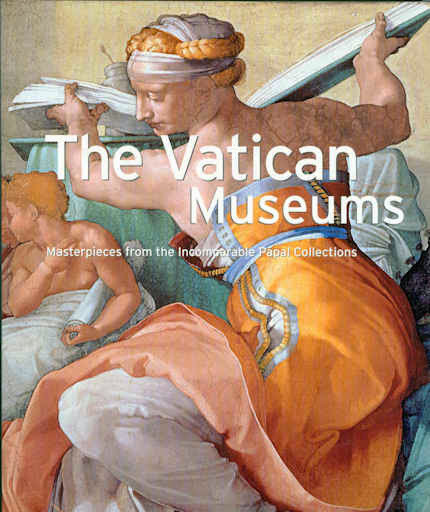 On the impressive parts, would Sir Nicholas include the Virgin’s costume – a racy empire-style cross-over dress with a sash under the breasts (above) – when such costumes were as scarce as hens’ teeth in Florentine Madonnas of the first decade of the 16th century? 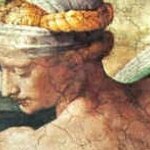 Bendor appeals to authority of Professor Paul Joannides, the author of the 1983 complete catalogue of Raphael’s drawings, but has he read the book? Prof. Joannides gives this drawing not to the Florence Madonnas but to a group of studies made in Umbria in 1503-04 for one of the Virgin’s companions in Raphael’s first major work, The Marriage of the Virgin, (as shown below) when the artist was still under the sway of Perugino. My eye tells me that the drawing is the inferior of others in its group and that it was clearly not made as an auxiliary cartoon for anything, let alone for part of the Haddo picture, it being summary not exploratory. 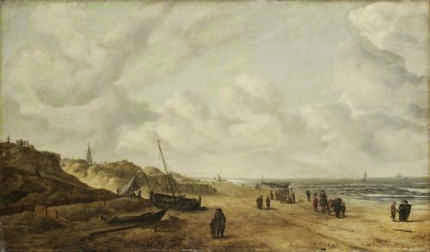 Connoisseurship consists more of discriminating between qualities than in identifying similarities. The highly schematic drawing proposed as Raphael’s intended cartoon for the Haddo House painting shows none of the flair, absorption in the model’s features, and sheer graphic brilliance brought by Raphael to other 1503 studies of heads made as auxiliary cartoons for major paintings. That this particular drawing should closely fit with the design of (only) part of the Haddo painting, is a problem for, not a corroboration of, Bendor’s Raphael inscription. This supposed “cartoon” shows the ear covered by hair that is tightly bound and held free of the neck by a simple head-dress. Such was entirely appropriate for a secondary figure in a large group painting. In this regard it is quite unlike the Haddo painting (below) where the coiffure is elaborately braided and pulled back to expose the ear, and where a long transparent veil is draped over the neck. Above, Fig. 4: In the monochrome block in the top right shows we see at the top how the neck on the Haddo House painting is draped with a transparent veil. 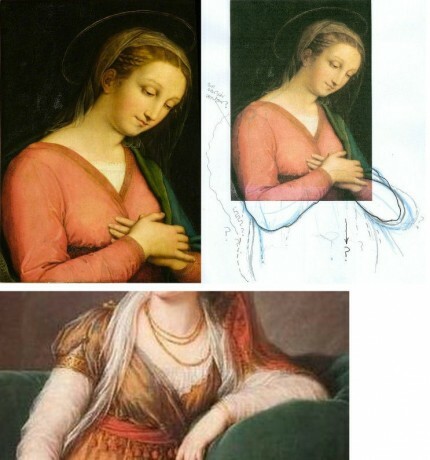 Below it is two such near-identical arrangements of coiffures/necks are encountered on two of the very many copy versions of the Raphael’s Madonna of the Pinks. The one on the right, here, is the one that was attributed to Raphael by Nicholas Penny in 1992. 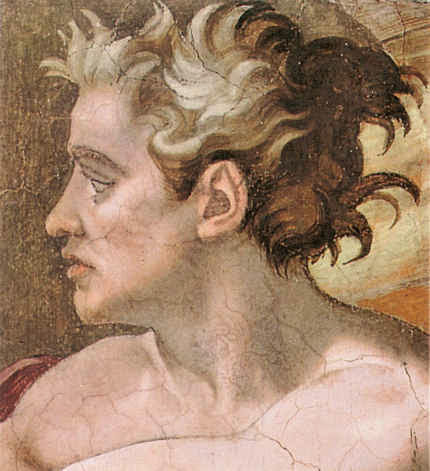 For Bendor’s proposed drawing to underwrite the new Haddo ascription we would have to believe that Raphael re-used an earlier atypically schematic Umbrian study at some point during his 1504-08 Florentine period, and that he elaborated it in a manner which, by a remarkable coincidence, closely anticipated the very treatment of hair and neck that is found in the painting (the National Gallery’s £35m Madonna of the Pinks) that Nicholas Penny upgraded to Raphael in 1992 as a work of c. 1507-08. Scholars of Raphael’s drawings have noted that his draughtsmanship was constantly evolving to meet the requirements of the task in hand. 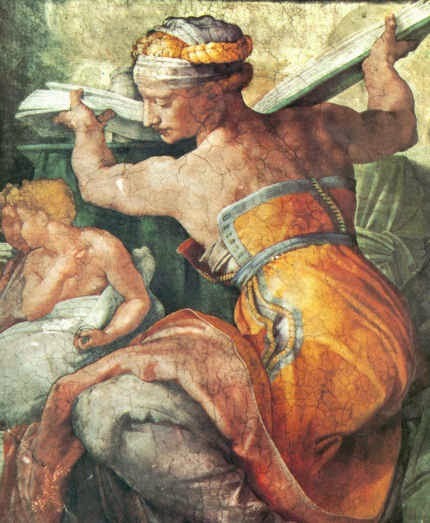 Bendor may believe that Raphael recycled an old study here. I do not. 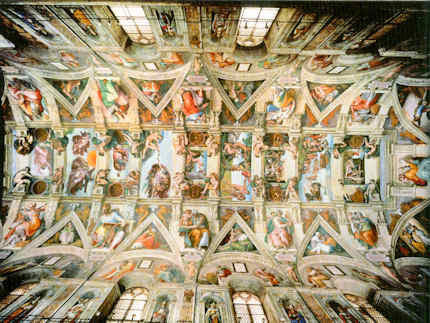 As for that old chestnut, the “in-admissability” of photographic records, when I saw a before and after photo-comparison of a detail of Michelangelo’s cleaned Sistine Chapel ceiling frescoes in 1988 (see below), my artist’s eye concluded immediately that the ceiling, which I had not yet seen, had been damaged. For the longest time, Bendor held critics of the restoration to be rather myopic. But then he visited the Chapel and concluded that we had been right all along. As he says, we each have our own way of proceeding. Above, Fig. 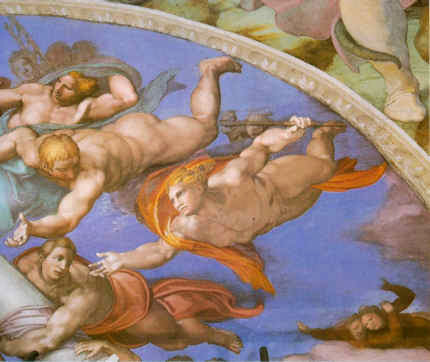 5: In demonstration that restorations can be appraised by photographs alone, we show above (top) a small photo-comparison of a section of the cleaned Sistine Chapel, as it was published in 1988 when I was working on the Independent as an illustrator. On first sight of that photographic testimony I saw instantly that the ceiling was being damaged; that James Beck’s criticisms were well-founded; and, that the restorers’ claims to have removed only soot and varnish were preposterously implausible. I had not yet visited the chapel and knew it only from photographs. In the second comparison above we converted the two images to grey scale and reversed their order. So, now, the cleaned state is on the left and the pre-cleaning state is on the right. It is striking how the two states resemble earlier and later stages of an etched plate (as can be seen in the third comparison which shows two stages of a van Dyck etching of a now lost Titian). Had the ceiling really been painted and left by Michelangelo as seen in the cleaned state on the left of the second comparison, we would have to believe that over a period of more than four hundred years, soot and dirt had accumulated selectively and artistically purposively on the ceiling in patterns that followed Michelangelo’s design so closely as to complete his shading and add specific details like veins to the oak leaves. 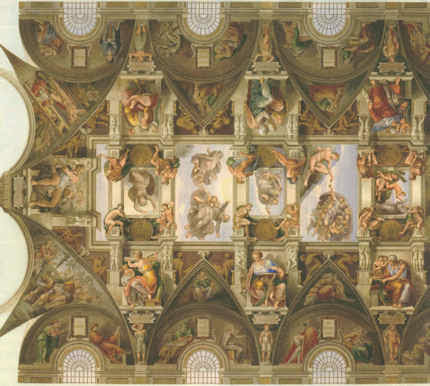 The challenge for those who continue to subscribe to this fairy story is to explain how it was that Michelangelo’s contemporaries and early copyists all contrived together to describe and record the ceiling, not as it was in their time, but as it would gradually become over the centuries. As an illustrator I not only fully appreciate that images get built up from nothing in stages (as indicated in the development of a magazine cover drawing in the bottom photograph above) but also how much photographs can vary and then vary further still when reproduced for the printing process on different types of paper. 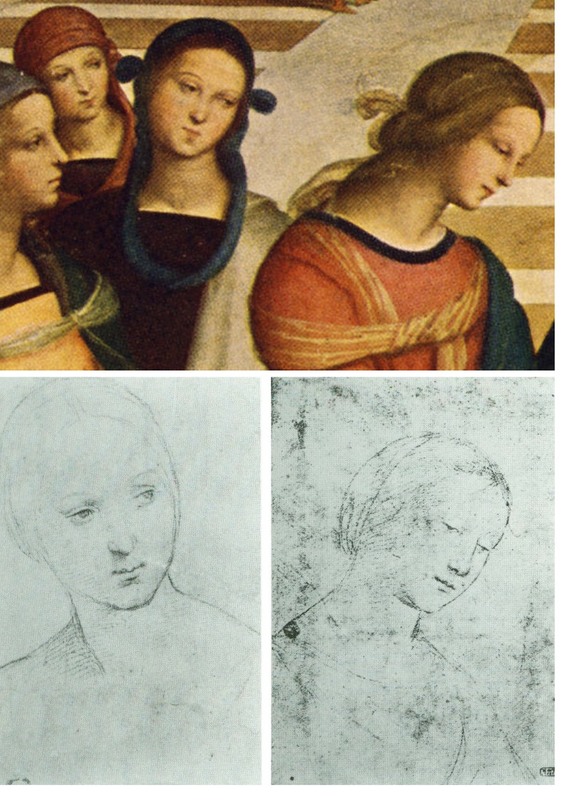 I have not seen the newly “restored” Leonardo St John (which is not yet on public display) but can see from the comparative before and after cleaning photographs that have just been published by the Louvre (as shown below) that it has – as with the Louvre’s recently restored Leonardo, The Virgin and St, Anne – been damaged. This time, however, it has been damaged in a most unusual and perversely misguided manner. It is virtually customary in big museum set-piece restorations for a trade-off to be licenced in which finishing, tonally-modulating layers are sacrificed in order get at the brighter, underlying colours. On this occasion, as seems obvious, none was to be found below. In consequence, this Leonardo has lost form-giving tonal modulations without even the slightest spurious intensification of hue. Worse, the Louvre (which for most of the 20th century constituted an institutional reproach to the restoration barbarians-at-large in the Anglo-Saxon sphere) has now achieved a new low: it has contrived to lower the highlights as well as the mid tones and thereby reduce the pictorial vivacity of an already sombre but divinely lucid painting. I hope that Bendor will see this too – or, perhaps we should wait and proceed to Paris together to judge the picture on the spot?